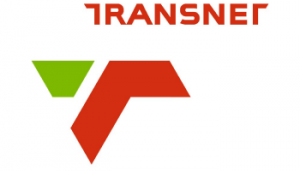 Transnet is a focussed and integrated freight transport company which is essentially driven by five operating divisions Transnet freight rail, Transnet rail engineering, Transnet national ports authority, Transnet port terminals and Transnet pipelines. These operating divisions supported by Company-wide specialist functions give meaning to our philosophy of “One Company, One Vision”. It is with pride that we announce that our business philosophy of “delivering on our commitment to you” not only applies to our business practices but also to you as one of our prospective future bursary holders. We welcome the interest you have shown in Transnet as a prospective future employer and trust that we can through our bursary scheme assist you to make your dreams come true. Students are allowed to study at a South African University or University of Technology (technikon) of their own choice who offers the relevant fields of study. After the screening of applications by the Transnet Bursary Department, candidates - based on academic performance on secondary or tertiary level - will be invited, to be interviewed. The interviews will take place at Johannesburg, Bloemfontein, Cape Town, Durban and Port Elizabeth. University students are required to render one year service for every year of financial aid received from Transnet after acquiring the qualification. University of Technology (Technikon) students who are selected for Work Integrated Learning will be required to serve the company for one year. Subjects failed must be repeated at student’s own cost. Termination of the bursary will be in consultation with the student and the training institution. If the student fails to comply with the requirements of the bursary agreement, the bursary becomes payable in terms of the agreement. The bursary will be renewed annually if the student’s progress is satisfactory. Transnet provides work integrated learning and vocational work to obtain the qualification in line with the requirements set by the training institution. The students are remunerated according to their academic status. Vacation work is available during June/July or December/January holidays. Students must apply at least one month prior, to enable the bursary department to make the necessary arrangements in collaboration with the line people where they have been allocated to. The following information must be supplied.